JASPER, Ind. – If ever there was a comeback story in the golf business, it’s the one that has unfolded at French Lick Resort — and it continues to get better. The eye-catching waterfall No. 18 at Sultan's Run. This little town in the resort’s namesake in southern Indiana, near Louisville, was the home to one of the most popular retreats in the United States in the early 1900s and its two stately hotels reflect that. The French Lick Hotel (now with a 24-hour casino added) has 443 rooms and suites and dates back to 1845. The West Baden Hotel, with 243 rooms and suites, was built in 1902. French Lick went through a lengthy economic downturn after its heyday years, with its only claim being the fact that it was the boyhood home of basketball great Larry Bird. Now that’s all changed. The original French Lick also had an 18-holer designed by Tom Bendelow, perhaps the most prolific architect in golf’s early years in the United States. Bendelow did his creating in 1907, when The Valley Course opened. It also went into disarray and was renovated in partnership with US Kids Golf as a nine-holer. It’s now called the Valley Links course, and its popularity and conditioning in improving rapidly. In what other nine-holer can you go around twice and end up playing a 7,000-yard-plus layout? You can at Valley Links. Still, the French Lick experience continues to grow. This year the resort took over the management of Sultan’s Run in nearby Jasper. This is a big development for French Lick. 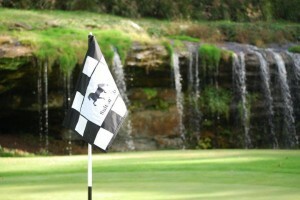 Sultan’s Run is an 18-holer designed by one-time Dye protégé Tim Liddy and has a memorable waterfall on its closing hole. This layout is good all the way around, a real fun track to play. And, if you visit French Lick, it’s not one to miss. Its addition to the golf options should keep lots of golfers at the resort an extra day. They’ll be missing something if they don’t play Sultan’s Run. 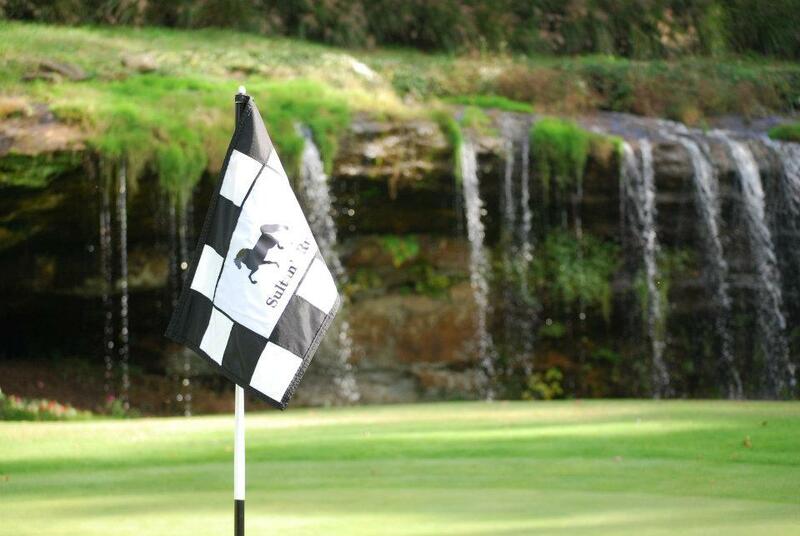 Sultan’s Run, built in the 1990s, is a challenging 6,859 yards from the back tees. It’s challenging, sporting and playable — a real treat about 20 miles from the resort, but transportation can be provided. Though it’s not connected to French Lick, those playing Sultan’s Run can make it to Schnitzelbank, the best German restaurant I’ve ever visited — and that’s saying something because I’ve been to quite a few. Schnitzelbank, which just celebrated its 50th anniversary in January, is a fixture in the town of 5,000. The entire golf world is realizing that in these tough economic times, but French Lick is doing something about it and so are the little towns around it — Mitchell, Orleans, Paoli and, of course, Jasper. I was stunned by how much development has been done (and not just in golf) in those communities since my last visit in 2010. The economic recession seems to have stimulated progress, not slowed it down, in this little corner of Indiana.